The novel series centers on a young girl who fights on the frontlines in war. She has blonde hair, blue eyes, and nearly transparent white skin, and she flies through the air and mercilessly strikes down her opponents. 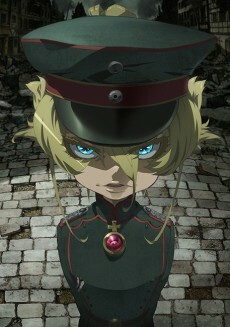 Her name is Tanya Degurechaff, and she speaks with a young girl's lisp and commands the army. Tanya used to be one of Japan's elite office workers, but because of a wrathful god, was reborn as a little girl. Tanya prioritizes optimization and career advancement above all, and she will become the most dangerous entity among the Imperial Army's sorcerers.